AMAZON PRIME DEAL ONLY. Ebuyer have at same price if interested. Not a lot about this monitor online but seemed like a good deal to me. 144hz, 1440p and freesync. Although it's TN but can live with that for the price. That's tempting but the size is the only thing that lets it down. That's true, still a great price I think. 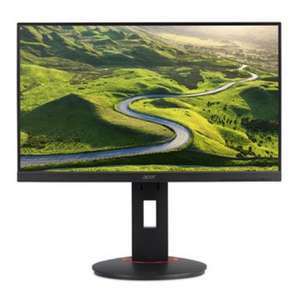 looking for a good monitor for the xbox one x is this any good? The XboneX can output at 1440p natively. It was £260 at Scan for a while. Fair enough. It's still a good deal though. It can, but it cant do >60fps. This monitor also doesn't do HDR(and being TN, will actually look worse than even most normal TV's in terms of color output). 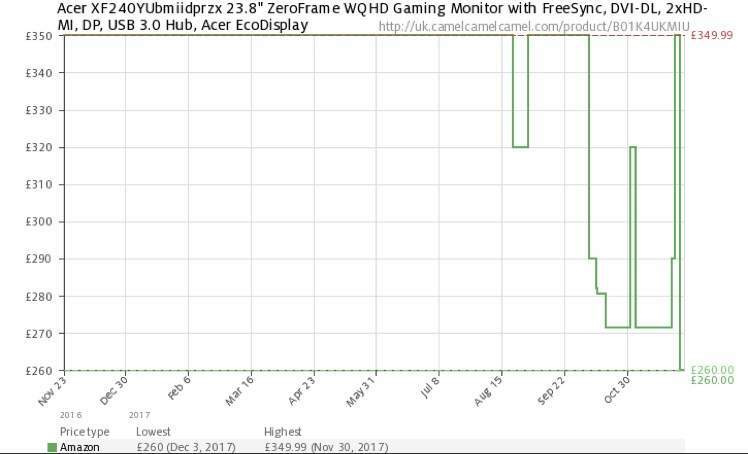 This would not at all be a good monitor for XB1X. I would recommend a 4k HDR TV, one with a real 4k(no RGBW), 10-bit, >500 nit panel. If you're not too worried about the HDR side, then *at least* get a 4k display of some sort.